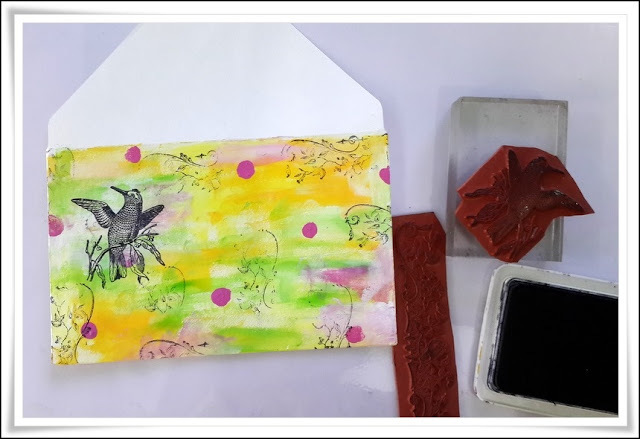 I am sharing with you a project, which is fun and easy to make....known as Mail Art. 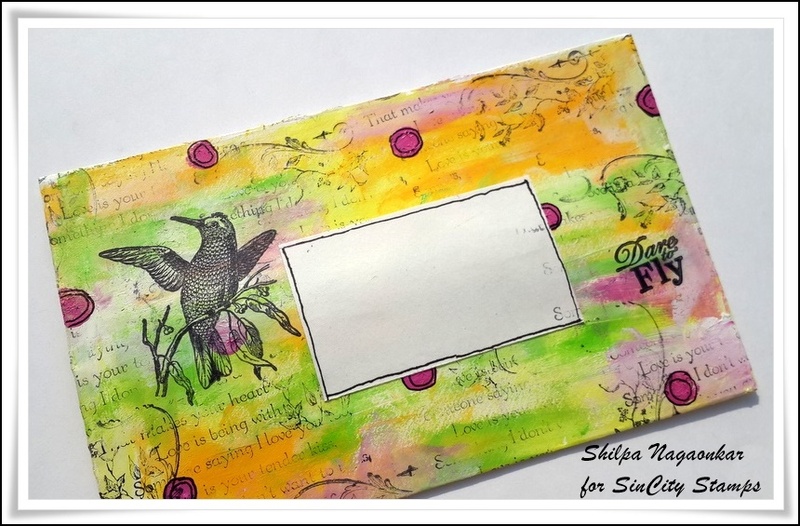 Wouldn't your friends like to receive decorated envelope full of art in their mailbox? 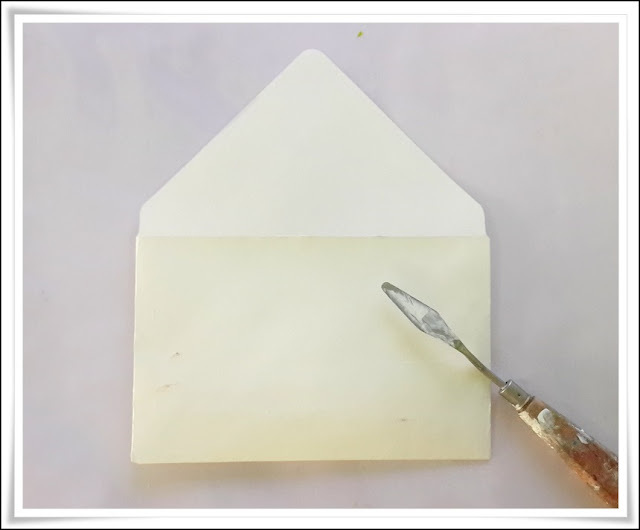 Make a envelope using thick art paper. 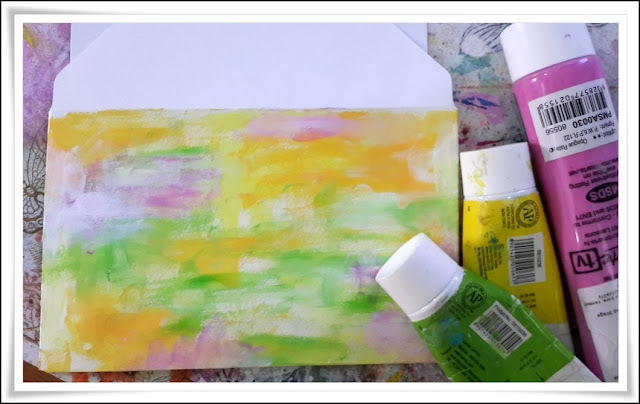 Apply white gesso onto it as it will help as primer for any applied layers. 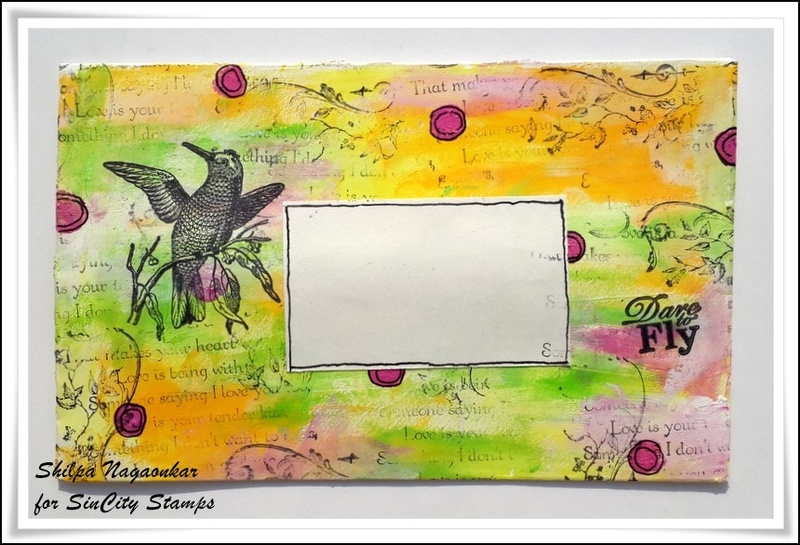 Apply acrylic colors, randomly on the front side of envelope. Stamp your bird and fancy designs. 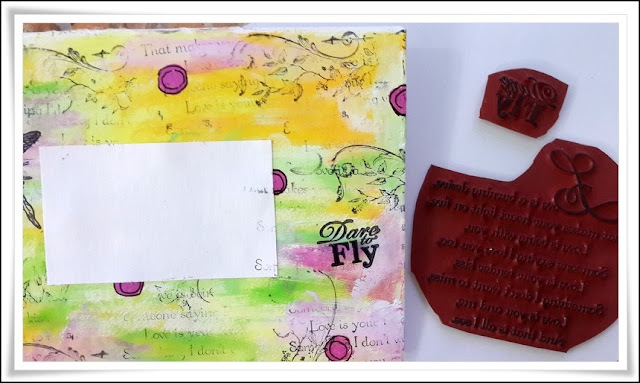 Also stamp bit of text using any journaling stamp. Add white paper in the middle for address and this beautiful envelope is ready. Don't forget to join SinCity Facebook group for more inspirations. Beautiful Shilpa! I love your mailart, fantastic colors!